For my A-Level project for Media Studies at school, I'm researching how Disney Filme have evolved over the years to appeal to modern audiences, and I chose to study Frozen as one of my films because it's so popular. So I'd like to know what it is that Du think makes Frozen so appealing and such a great modern Disney film. Is there a particular character that Du love? Are the songs your favourite thing? 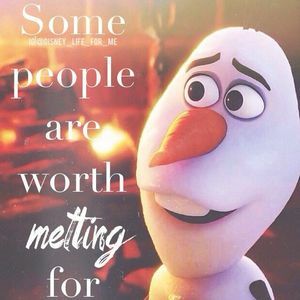 Is Frozen your favourite Disney film you've ever watched? 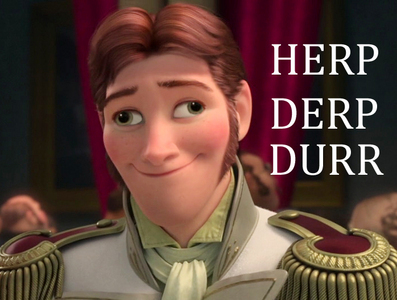 -I Liebe that Anna and Kristoff's romance is not the main focus of the story. I like how it is, instead, a side story, and their relationship builds up gradually throughout the film. -I Liebe that the film reminds us that there is Mehr than one kind of "true love". Not just romance love, but Liebe between family members (e.g. sisters), and also Liebe between Friends too. -I really enjoy the upbeat "sitcom" style humour that the movie is full of! -I Liebe the songs. I Liebe the melodies, the lyrics, and how well they fit in with the rest of the film's atmosphere. -I actually care about the characters. They are fun and interesting.